Julia Beam grew up in Waynesville, NC and moved to the Raleigh area in 1996 to attend Meredith College as a North Carolina Teaching Fellow. 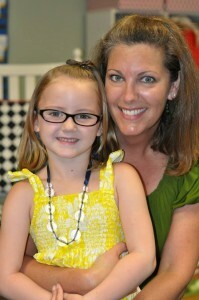 Julia received her Bachelor’s Degree in English with her kindergarten through sixth grade teaching license. She was a kindergarten teacher in the Wake County School System for 10 years. She knows the benchmarks and steps necessary to help children become successful upon entering kindergarten. Julia completed her Masters in Education at Meredith College in May, 2011. She is a licensed reading specialist. She is passionate about young children being taught with best practices in the preschool setting. She decided to fulfill her lifelong dream of opening her own preschool in Apex, North Carolina, a town she dearly loves and a community with which she is proud to be associated.